Carry a bit of the fields and dales with you. I picked some wild seed grass in a meadow on one of my meanderings and brought it home. From it I made a texture plate so I could imprint metal with the memory of that day. Perfect for the nature lover or a romantic soul. 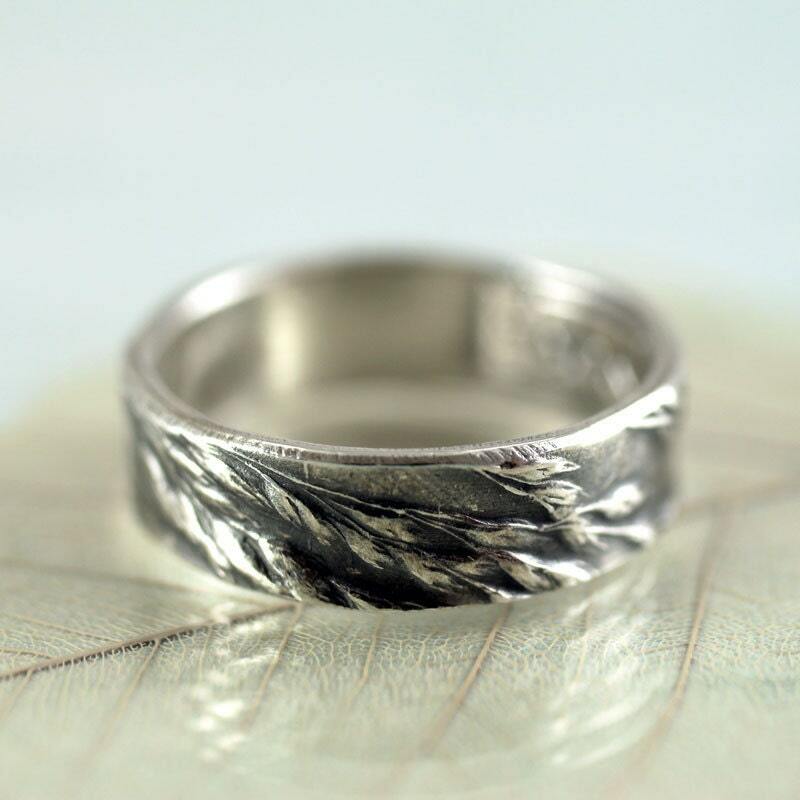 The ring suits both men and women and has a solid heavy feel to it. 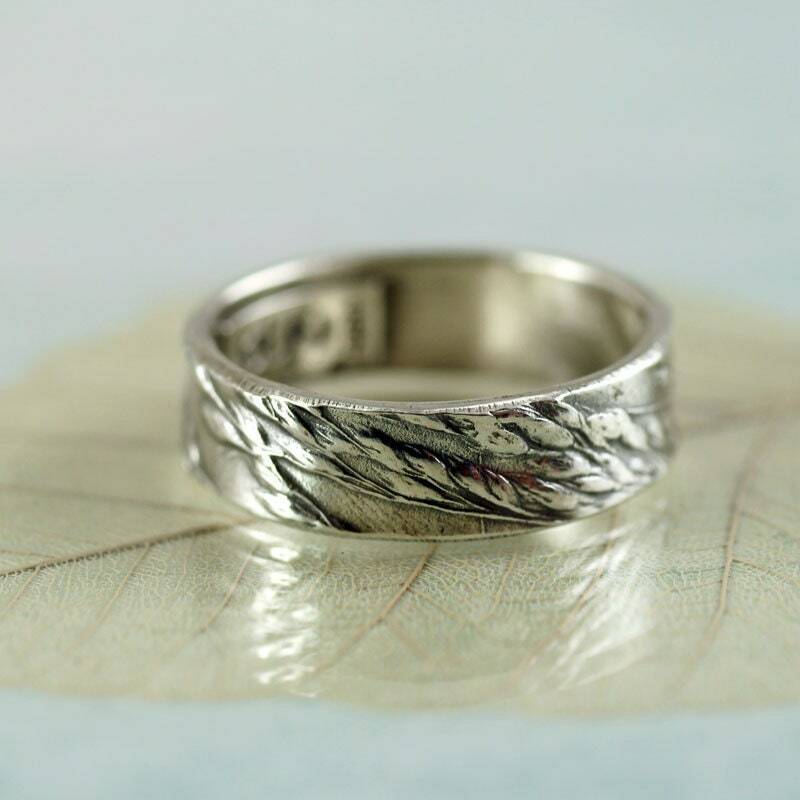 The band is about 6 mm wide and 1 mm thick. I have oxidized the surface to really make the grass stand out. 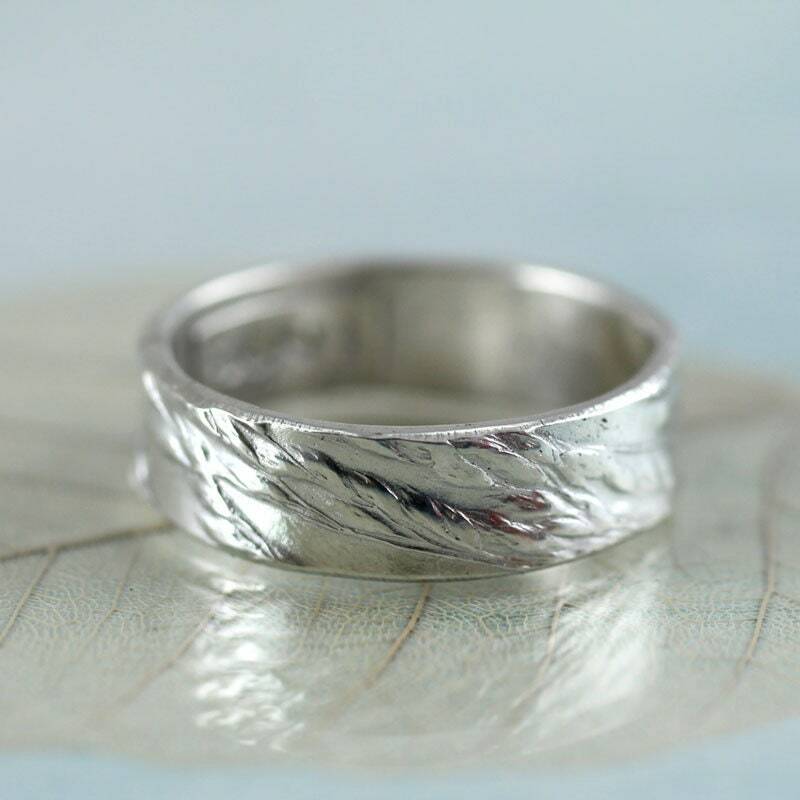 Remember to let me know the ring size you require in the note to seller upon checkout. 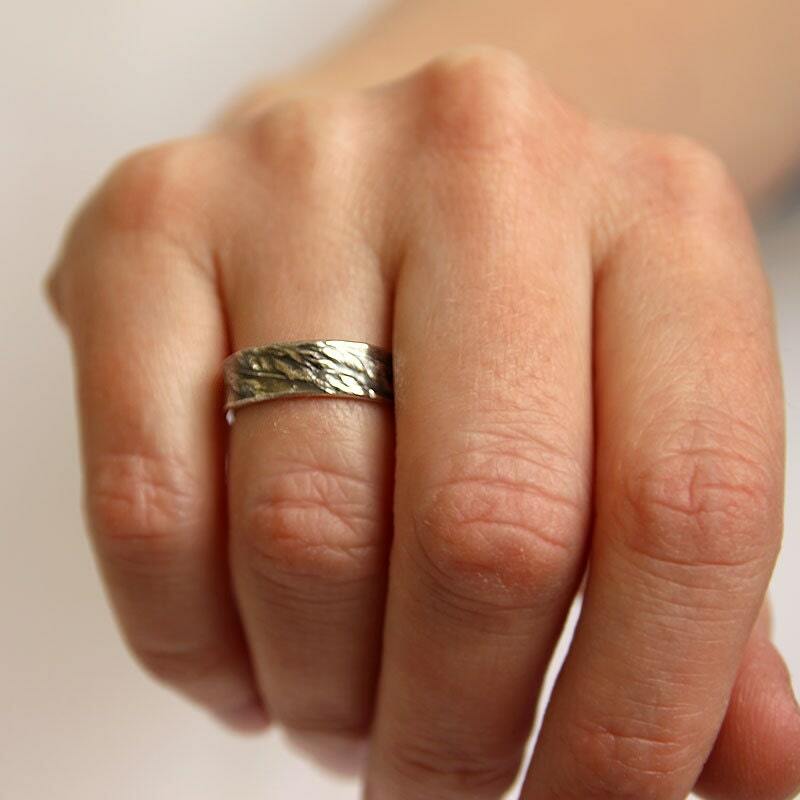 If you don't know your UK (alphabetical) or US size you can measure a ring that fits. I need the inside diameter in mm. 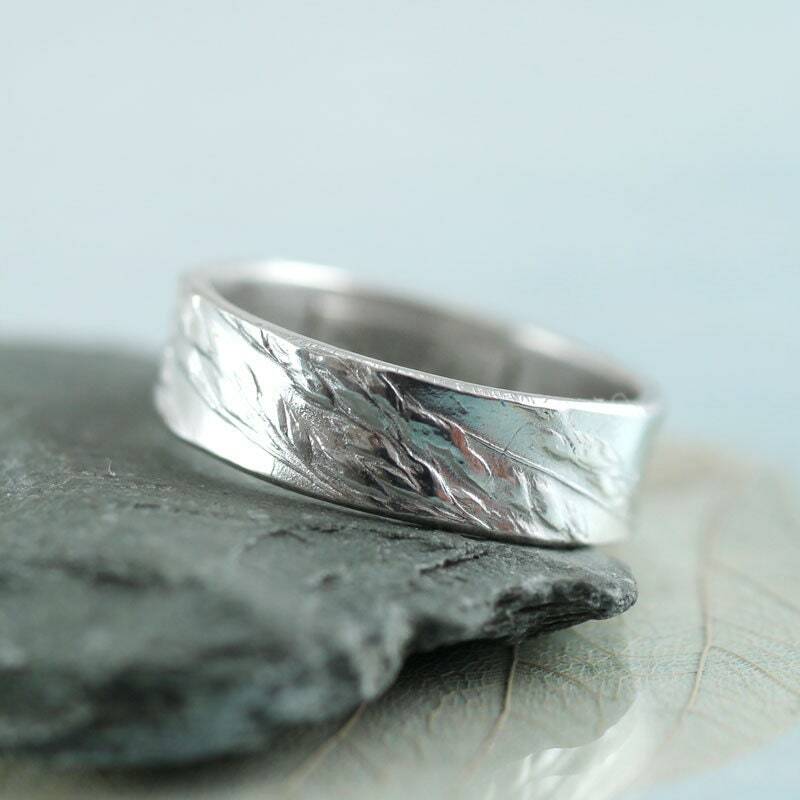 You can also choose to have this ring in bright shiny silver - pictured in some of the photos. Will arrive in a cute little gift box . I recieved my ring today in the post and I am over the moon. 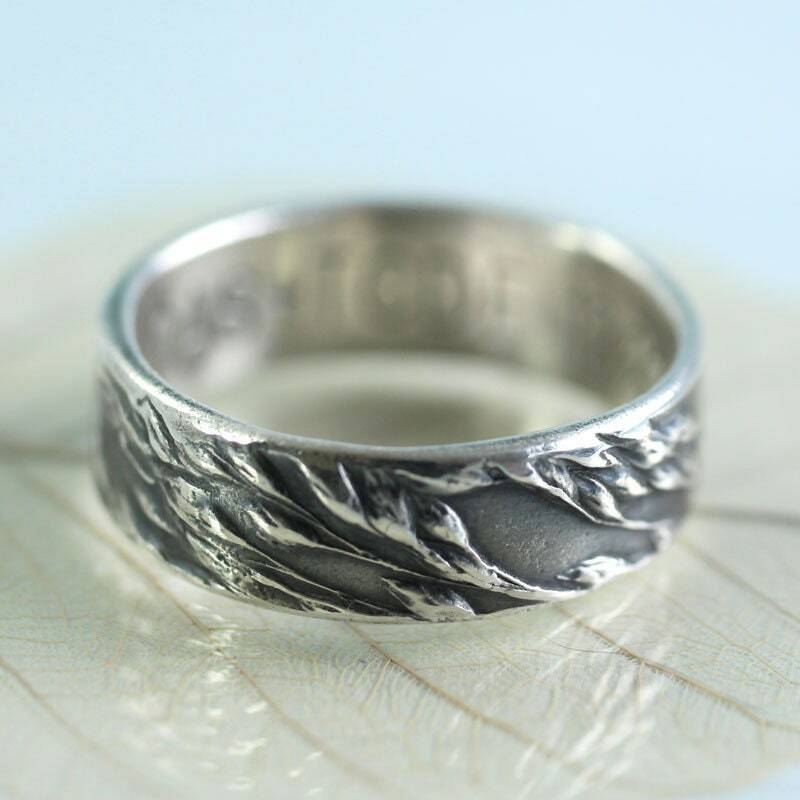 I previously bought a handmade ring from another etsy website this month, with an engraving for my partner of three years and I was so diappointed with the quality and sent it back. 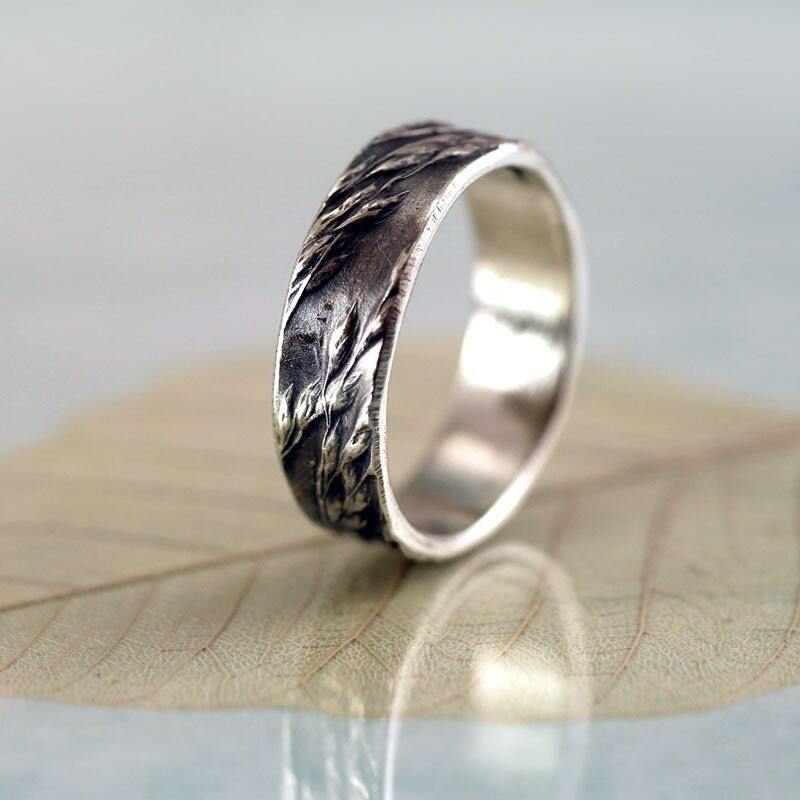 On my quest for the perfect ring I stumbled upon Nana's page. It is EXACTLY what I was looking for, it is heavy, well made, unique, and the engraving was worth every penny - clear and delicately done. Thank you so much Nana for creating such a fine piece of jewellery. I cannot wait to give this to my partner - he will be thrilled. 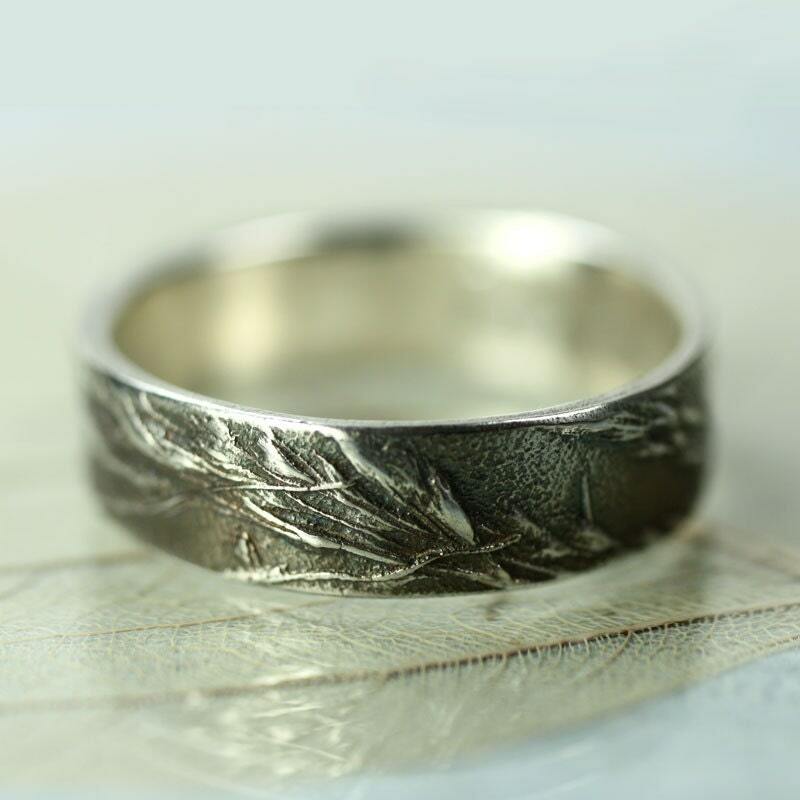 If anyone is considering purchasing one of these rings, I would like to personally assure you that the quality is every bit as wonderful in person as it looks in these images. I am so very happy. Merry Christmas Nana, Thank you for your beautiful art! This lady has magical fingers! 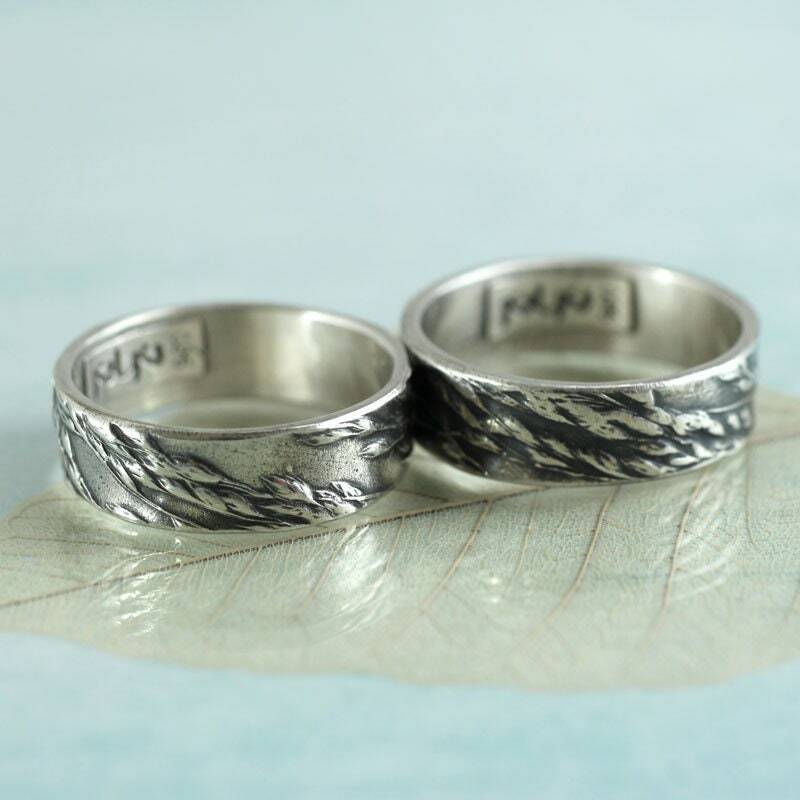 She has created two beautiful wedding rings personalised for us that we couldn't be more happy with! 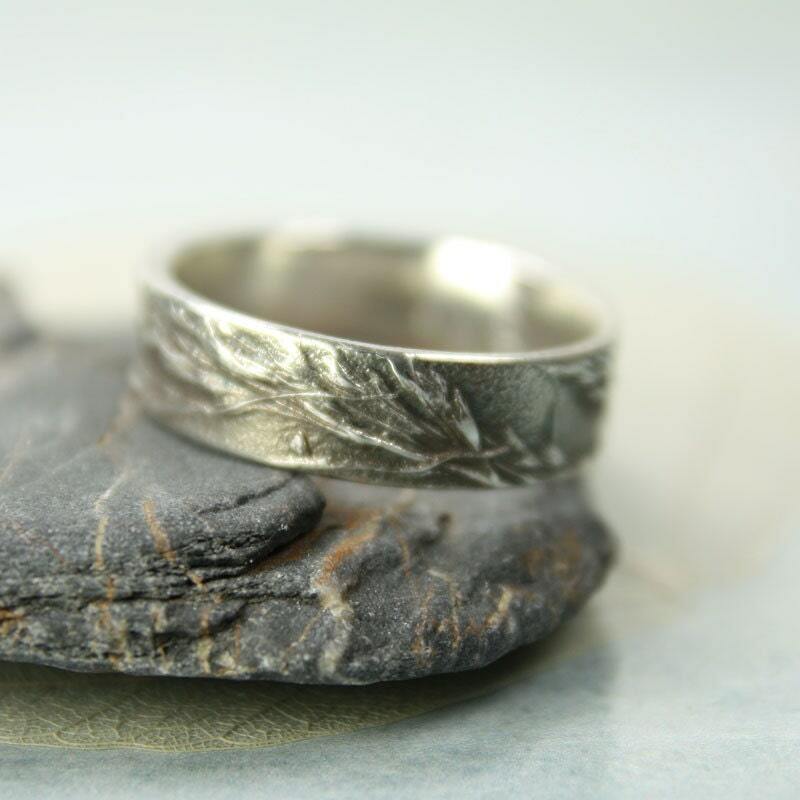 Further to this she went the extra mile and resized one when it was slightly too small, I know for sure this is the best service I've encountered on Etsy without a doubt! Thank you again Nana! Absolutely lovely seller and the ring is very pretty, just what I wanted. Thank you Nana.